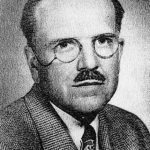 Dr. Alexander “Laird” Story was born on the 16th of April, 1900 to Dr. Simeon G. Story and the former Margaret Gould. At the time of his birth, his father was a physician who lived and had an office at 15 George St. in Blenheim. Dr. Story was raised in Blenheim with his brothers Ralph Gould Story (born in 1896) and Robert Menzies Story (born in 1906). His father died in 1912. After graduating from high school, Dr. Story found work at the Ford Plant in Detroit. He went on to study medicine at the University of Western Ontario graduating M.D. in 1927. According to the 1928 Ontario Medical Register, Dr. Story joined the College of Physicians and Surgeons on the 18th of June, 1927. He also completed post-graduate studies in New York, Toledo and the Mayo Clinic. Dr. Story started practicing family medicine in Blenheim at 15 George St, in 1928. On the 15th of January, 1930, Dr. Story married Jean Laverne Underhill, in Toronto. She was born on the 14th of October, 1900 in Owen Sound, Ontario. She was the only daughter of Charles W. Underhill and the former Miriam Lozar and she had 2 brothers. Although born in Owen Sound, she was raised in Saskatoon, Saskatchewan where her parents ran a boarding house. 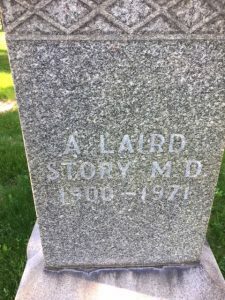 Dr. and Mrs. Story had 2 children, Donald “Donn” Laird Story who was born in 1933 (and died in 2009) and Mary Margaret Story who was born in 1936 (and died in 2015). 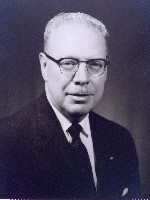 Dr. Story was appointed a Coroner for the County of Kent in 1950 and he served in that position until 1970. Dr. Story had his own EKG and x-ray machines and he also had a full pharmacy on site. In 1966 and 1967 Dr. Story acted as the Centennial Chairman for the Town of Blenheim. Part of his duties included resurrecting the town bell, which had been put into storage after the old town hall had been demolished in 1951. The bell was re-located to the Main Street of Blenheim and a new support housing was made for the bell in front of the municipal building. The old bell was rung 100 times on New Years Day in 1967. At the unveiling of the bell Dr. Story gave a speech and in his remarks he commented that, “Blenheim was a thriving town with five saw mills, a cooper shop, basket work, bentwood factory and cabinet works when the town hall was constructed in 1896.” It was obvious that the Town of Blenheim was a source of great pride for Dr. Story. 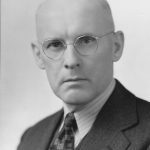 He was a Past President of the Public General Hospital Medical Staff and in 1937 he served as the President of the Kent County Medical Society. Dr. Story was a member of the Blenheim Public School Board for many years. He was the President of the Blenheim Rotary Club, Worshipful Master of Kent Lodge No. 274 A.F. & A.M. in Blenheim, District Deputy Grand Master of the Chatham District Masonic Lodge and a member of both the Blenheim Shriner Club and the London Mocha Temple Shriner Club. Other interests of Dr. Story included traveling, photography, golf and curling. Mrs. Story died on the 29th of August, 1968. She was buried at Evergreen Cemetery in Blenheim. Dr. Story died on the 26th of March 1971, at 15 George St in Blenheim….the same home that he was born in. Dr. Story was buried at Evergreen Cemetery. Story Street in Blenheim was named for Dr. Story. At the time of Dr. Story’s death, he was married to Eleanor L.Wood, the daughter of Ernest Wood and the former Myrtle Spencer. She was raised in Erieau with 2 sisters, Bernice and Erma and 3 brothers, Carl, Paul and Floyd. Mrs. Eleanor Story died on the 23rd of October, 1999 and she was buried at Evergreen Cemetery. Dr. Story was also survived by 9 grandchildren: Jo-Anne Hendry, Stephen Laird Story, Brian Story, Alison Dambro, Michael Thain, Scott Thain, David Thain, Catherine Thain and Julianne (Thain) McNear. *Dr. Story’s brother Ralph Gould Story served during WWI and he is featured on the ‘Gathering Our Heroes’ website. **His father Dr. Simeon G. Story also appears on the Chatham-Kent Physician Tribute website.